This Image shows Adrian young, King of the Band “Afindis6”. 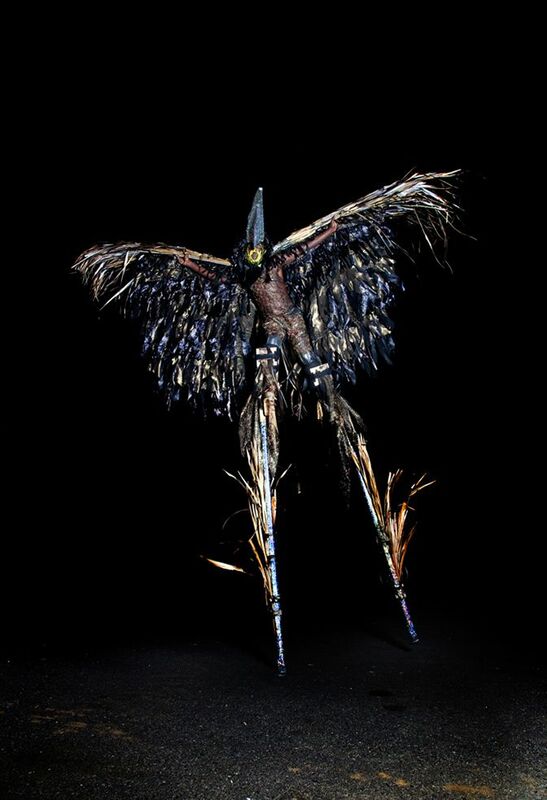 The costume is a Moko Jumbie (Stilt Walker) or Moko Zumbie (Derived from Congolese for God Like). They represent a Good Spirit or Deity and are traditional folk character originally brought from West Africa. The word “Moko” derived from the name of a West African God and “Jumbie” was added by liberated slaves after emancipation. Some believed that the height of the stilts was associated with the ability to see evil coming ahead and to warn people in their respective communities about such dangers. The Moko Jumbies were seen as protectors of the village. This stilt Walker is approximately 10 feet high in the air and he was walking continuously for hours with only very short breaks in between - A true sign of resilience of the people of Trinidad and Tobago. The costume is made from Malay palm, Singapore palm, seeds, shea, and almonds as well as African oilcloth. This specific Moko Jumbie however, has a slightly different take on the regular Moko Jumbies. 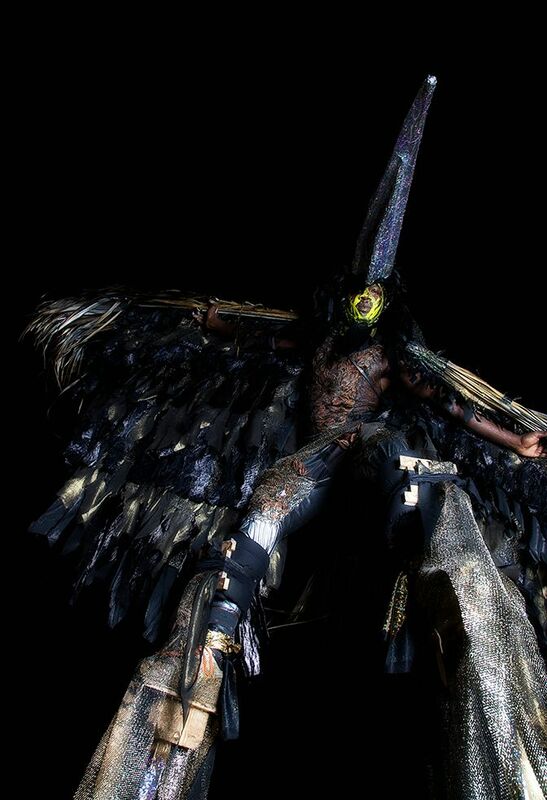 He has a Crow element as part of the theme for the Carnival band he is presented in titled “Afindis6”. It was conceptualized and produced by Michael Jobe and built and designed by Michael Jobe and Alan Vaughn. This specific Moko Jumbie is also very historical because it is the highest scoring Moko Jumbie that entered the King of Carnival competition. This specific Crow is a representation of an alien visitor that came to the people of New Zealand bringing the gift of fire.